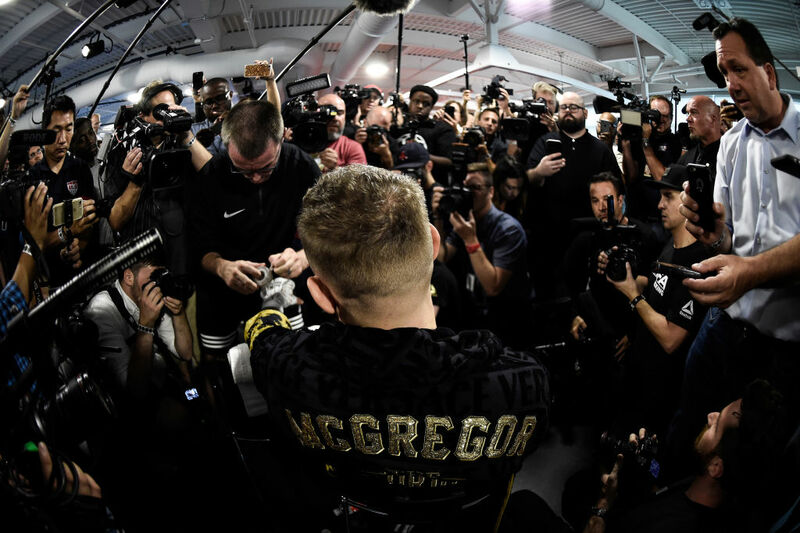 Conor McGregor made a thought-provoking comparison Friday at his media open workout ahead of his enormous boxing showdown with all-time great Floyd Mayweather. The UFC two-division world champion said Jose Aldo was once just like Mayweather: a dominant champion considered to be one of the greatest, who most thought couldn’t be beaten. McGregor knocked out Aldo in just 13 seconds. It was one of the most iconic moments in the history of mixed martial arts. Not many believed McGregor’s power would be enough to thwart Aldo, who ruled over the featherweight division for a decade. Against Mayweather, who sports a perfect 49-0 record and the distinction of being the most unhittable fighter in boxing history, McGregor attempts to do the impossible once again in his first-ever professional boxing match. Not many believe he can win. But it’s not the first time McGregor has been doubted. McGregor worked out for about an hour and a half, hitting the bags and putting on a show for the media assembled. 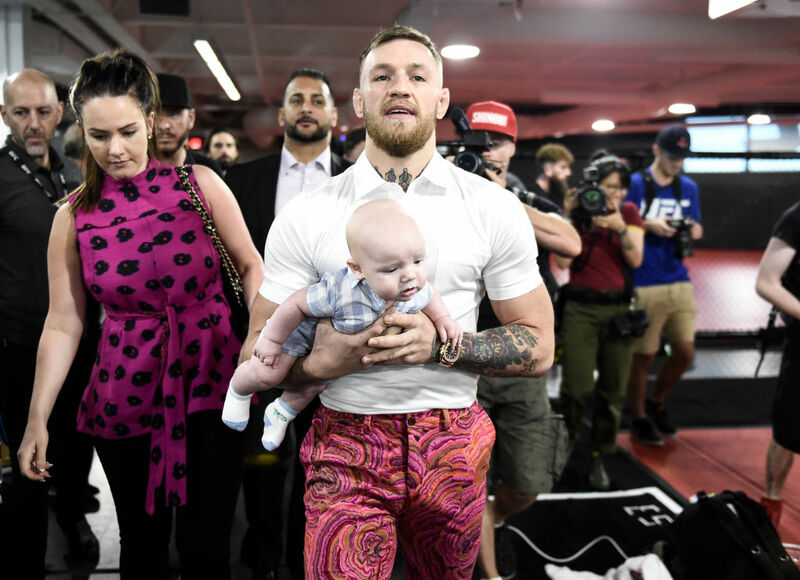 During his workout, UFC president Dana White tweeted out video footage of McGregor’s sparring session with former boxing world champion Paulie Malignaggi. The footage showed McGregor connecting with a vicious straight left, his signature shot, that seemed to wobble Malignaggi. In a fight where some have suggested McGregor will struggle to land a single punch against Mayweather, the viral footage certainly adds a new dimension to the fight. McGregor isn’t planning any back steps as he attempts once again to accomplish the impossible on Aug. 26 vs. Mayweather at T-Mobile Arena. He’s getting used to proving doubters wrong. “I’m scheduling bouts with opponents, telling them what I’m going to do to them and how I’m going to do it. And then I’m doing it. And then the train just kind of rolls with it and it keeps picking up steam as the predictions keep coming true,” he said.